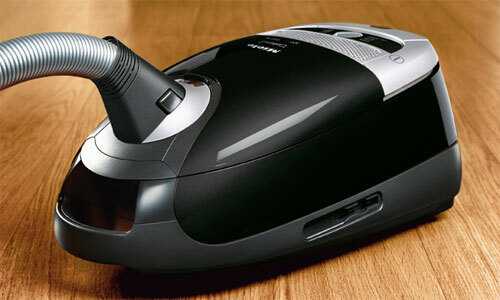 The Miele Callisto S5281 is a bagged canister vacuum cleaner. It’s the standard model of the S5 series, which are the high-end models from Miele. The Electro Plus electrobrush (SEB 217-3) has its own motor, a five-level height adjustment, and is suitable for medium to high-pile carpeting and hard floors. Its cleaning path is 10.5 inches wide. The Parquet Twister can rotate at 90°, and is used to gently clean hard floors. As it’s flat, it can also go under furniture. The integrated accessories (dusting brush, upholstery nozzle and crevice tool) can be stored on-board, inside the canister. The S5281 uses Hyclean G/N bags which have an auto-seal, and can be replaced cleanly. It uses an HEPA filter, which catches 99.9% of the particles bigger than 0.3 microns, and has to be replaced about once a year. The canister is completely sealed to guaranty that no allergens are released into the room. Good cleaning performances, especially on both carpeted areas and hard floors, while being quiet. The many accessories provided, including an electrobrush and a parquet brush, make the Callisto S5281 very versatile. The power selector on the canister, with 6 settings, can be used to adapt the suction (and the noise) to the floor that you are cleaning. An override opening is also accessible on the wand handle. The Callisto S5281 has an HEPA filter which stops small particles, the entire canister is sealed to ensure that no allergens are released. The stainless steel wand is telescopic and can be adapted to your height. The wand can be placed vertically in a holder on the side of the canister for easier storage. The Hyclean bags have an auto-seal closing, which prevents the release of dust and allergens when you replace them. An indicator warns you when the dust bag is full. Miele has a reputation for producing high quality household appliances. The 2 years manufacturer’s warranty (and 7 years for the motor and casing !) is a very good sign. The average life span of their products is about 20 years. The Callisto S5281 is very expensive. The canister with its accessories is heavier than the average. 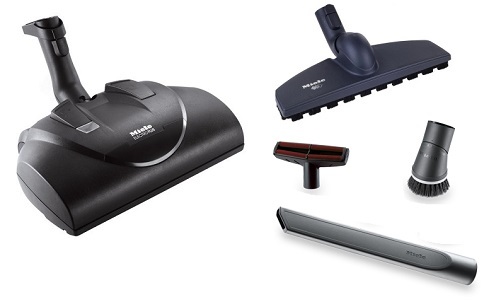 Ok, I know – it’s just a vacuum, but if you’re like me and have gone through 4 or 5 other vacuums and have always been disappointed – I guarantee you: the Miele will not let you down. You can see online demonstrations of it’s sealed canister system at YouTube, which for allergy sufferers or others concerned about vacuums that just recirculate the dirt, is of utmost importance. But beyond that, this is just one beautiful little machine. If you’ve shelled out hundreds for a Dyson only to be disappointed by it’s flimsy plastic construction, you will be impressed by the Miele. Every piece is solid – especially the wand which is so sturdy and well crafted it feels more like a precision built part for a fighter jet than a part for a vacuum. The only downside to this sturdy construction is that it does make the wand a bit heavy, but I will take that over flimsy construction any day. I have had vacuums so loud you couldn’t hear the phone ring if it was right next to you – this one is so amazingly quiet you’ll think that it can’t possibly have good suction, but it does! 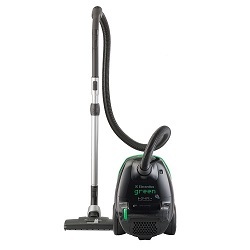 Quiet, powerful, with a sealed container, true HEPA filtration and a cloth bag (not paper) which self seals when you remove it from the canister as well as unbelievable construction make this vacuum worth every penny! This economy level Miele model, as all the same cleaning ability as the more expensive models, Aquarius, and Capricorn, just without the electronic controls. The machine comes packaged with their mid-size power nozzle, the 217-3. This nozzle is great for medium-low pile carpets, and cleaning bare floors. This nozzle is so versatile you won’t have to switch cleaning head going from your rugs to your bare floor, just simply flip the switch on the hose. The only surface this nozzle struggles on is the thicker carpets. You will feel like you have just worked out in the gym for 30 minutes, if you have to vacuum thick carpet with this nozzle. The Miele Callisto S5281 is a powerful but expensive canister vacuum cleaner, efficient on both hard and carpeted floors. 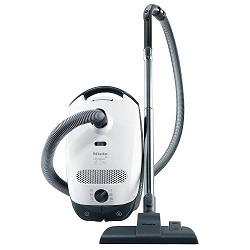 It is worth the price if you have allergies, as it’s one of the few vacuum cleaners which comes with a complete sealing and ensures a true HEPA filtration. 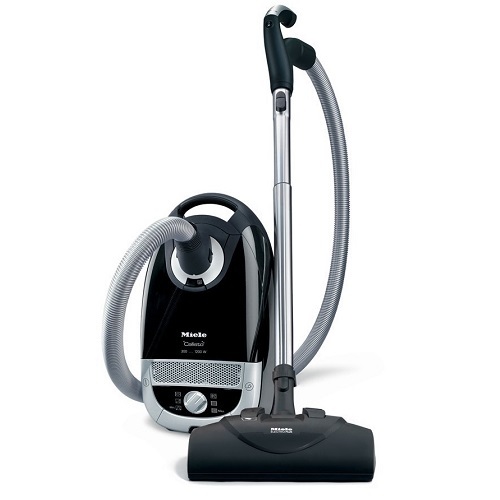 Otherwise, you will find similar cleaning performances with cheaper canister vacuum cleaners.